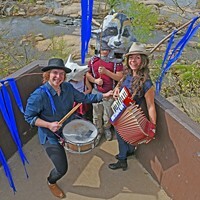 The People's Pets | Cover Story | Style Weekly - Richmond, VA local news, arts, and events. The rise and fall of the squirrels that once reigned over Richmond. A squirrel on Capitol Square sniffs around the lawn for food. Largely unnoticed these days, the animals are left to fend for themselves and find their own dinners. A crowd of 250 Richmonders gathered around the base of a tree in Capitol Square. The businessmen, children and convict laborers "gazed up fixedly at a small object clinging to one of the topmost branches." 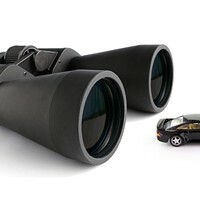 The object of the intense interest? Or more precisely, a squirrel being chased by a cat. It was 1894, and according to a report in the Richmond Dispatch, the crowd was rooting for the squirrel. It easily got away, nimbly hopping into a nearby tree. The gray house cat wasn't as lucky and found itself clinging precariously to the end of a long, thin branch. The throng jeered and taunted the cat before eventually losing interest, leaving it stuck on its perch for a full three days. No one was willing to help the animal. According to the Dispatch reporter, the crowd generally felt the would-be predator needed to learn a lesson. 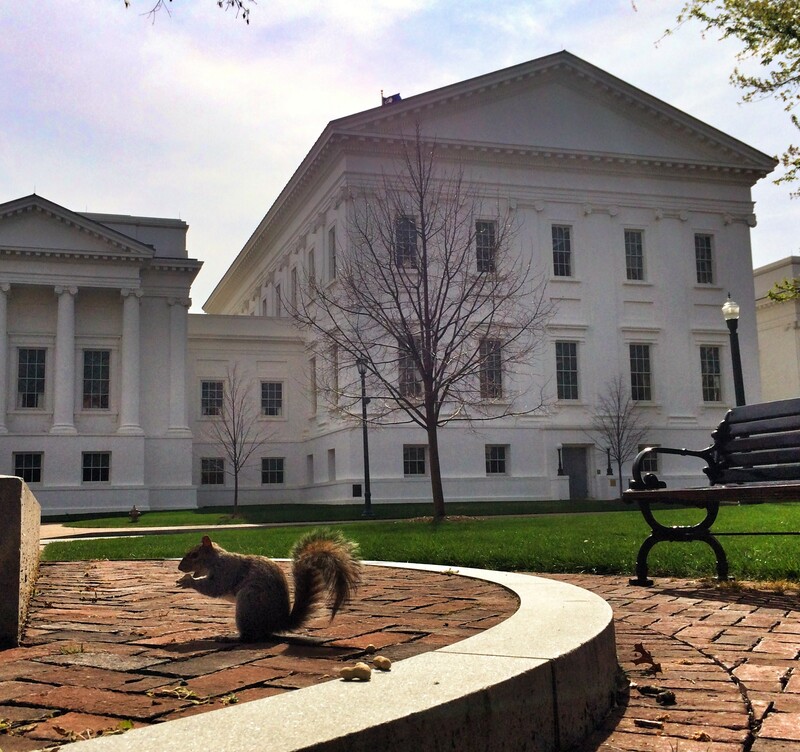 That's because in the mid- to late 1800s the squirrels of Capitol Square were considered a state treasure — beloved municipal pets who didn't just happen into the city, but were captured in their native woodlands by residents of various, unnamed Virginia counties and given to the Commonwealth as gifts, according to newspaper accounts. The naturally timid rodents were tamed at the Capitol, and for nearly 50 years, the square was home to the only squirrels in the city. That Richmond had any squirrels at all 150 years ago was something of a marvel, because most cities had none. Richmond was on the cutting edge of an urban trend, and tourists regarded the square's furry inhabitants as an impressive spectacle. There was no chasing the bushy tailed rodents out of attics; they lived in little wooden homes that state groundskeepers built and nailed to trees. There were no torturous birdfeeders designed to shock them or send them sliding away; governors devoted a portion of their discretionary budget for nuts. And they didn't ravage gardens and plantings; they were so well fed they rarely strayed from the square. It's a forgotten history, the rise and fall of a prized animal now considered so common it seems absurd that a newspaper of record would bother reporting that one was chased by a cat. That cat, by the way, was eventually helped down from the tree. A man felt bad enough for it that he paid a child a quarter to climb up and shake it loose. The starving feline landed on its feet and scampered off. An 1885 book of Southern scenes features a wood engraving of the squirrels in Capitol Square. The book says the squirrels were so tame they ventured into a visitor’s pockets in search of peanuts. It's spring. Squirrels are everywhere. They chastise dogs. They scamper across electric lines. They leap from branches to fences to roofs for no apparent reason, except, perhaps, to rub our collective faces in our comparatively plodding clumsiness. To many, they're pests — brazen, fluffy tailed bullies and unwelcome home invaders. Others take them for granted as permanent neighborhood fixtures. Regardless of your perspective, in this season of great squirrel activity, it's worth recalling a time long ago when they were the prized pets of the city. For our purposes, the squirrel's story begins in the early 1800s, when cities across the country were devoid of the critters, and a certain mystique surrounded the animal in the minds of city dwellers. "The primary image of gray squirrels was extremely elusive," says Etienne Benson, a history professor at the University of Pennsylvania who published the first history of urban squirrels in late 2013. "They were wily, clever residents of the deep woods." The Eastern gray squirrel was a popular, if not challenging, game animal. But aside from the pet squirrels that were available from live-animal dealers, most Richmonders rarely would have seen the animals. Squirrels first started appearing in cities on the East Coast between the 1840s and 1860s, when officials in Philadelphia and Boston began experimenting with the introduction of what Benson calls "free-living squirrels" in their city parks. But city squirrel populations didn't really take off until around the 1870s, he says. 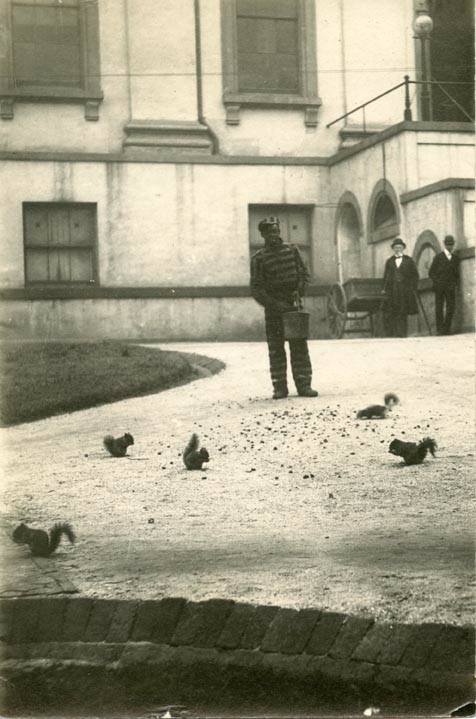 A convict feeds nuts to the squirrels beside the State Capitol in 1890. The animals were beloved pets of the state, with governors spending the modern equivalent of about $250 a year on food for them. It isn't clear precisely when squirrels first were introduced at Capitol Square. The only mention of their origin that Style Weekly was able to find is in an 1888 newspaper article that says they were gifts to the state. In any case, Richmond appears to have been on the cusp of the squirrel trend, with its colony well-established enough by 1880 that casual mentions began appearing in writings. For example, a New York Times correspondent who traveled to Richmond in 1881 wasn't much impressed by Thomas Jefferson's Capitol, which he described as "an extremely dingy affair." But he managed to find a bright spot on his trip: the "tame gray squirrels running about the lawns and winking at you from the trees as you pass near them." According to Benson's research, New York's Central Park would have gotten its first squirrel residents only a few years before the writer's visit. As for the District of Columbia, it didn't see the introduction of squirrels until the turn of the century. The traveler from New York wasn't the only impressed visitor. Two Canadian officials who made a brief stopover in Richmond on a trip to New Orleans reportedly couldn't stop talking about the "great attraction" that Richmond's squirrels provided. The stories of tame, park-dwelling squirrels they told back in Canada were appealing enough that the mayor of Toronto wrote to the mayor of Richmond in 1888, asking if the city could spare a few of its squirrels to send to him. "Our people are very anxious to see them here in our parks," the Toronto mayor wrote. "We will be pleased to exchange from our collection in the Zoological Gardens, or should they be the property of private individuals, I will be pleased to pay whatever price you consider them worth." The letter was published in the Richmond Dispatch, along with a note from the paper's editor: "But for the fact that many of them have wandered from the grounds and fallen prey to rapacious dogs and cats, there would be some to send to Canada in answer to this letter; as it is the present crop is not a large one." The mayor of Toronto was told to look elsewhere for his squirrels, and a follow-up article reported that a Richmonder and former Canadian helped direct the mayor toward Memphis, Tenn., which was home to fewer stray dogs and cats and, correspondingly, had a more plentiful supply of squirrels. The article ran on the front page of the Dispatch under the headline, "Toronto Got the Squirrels." In Richmond, those "rapacious dogs and cats" continued to pose a problem. One resident complained in letter to the editor that gates to the otherwise fenced-in Capitol Square had been removed, and as a consequence stray dogs had taken to running the grounds, much to the detriment of the squirrels. "As I passed through this morning I saw only two or three venturing out, and a miserable cur chased them to their hiding-pace in a moment," the letter-writer said of the squirrels. "If this continues they will soon be driven out of the Square entirely." A man pauses in Capitol Square to offer food to squirrels while children chase pigeons. By 1960, when this photo was taken, squirrels were common in cities across the country. A dozen tender-hearted citizens were wrought up to a high state of indignation and sympathetic frenzy yesterday by a cruel tragedy, which caused the death of one of the pet squirrels in Capitol Square. Several persons who were watching his cute and pretty antics saw a sudden rush and a dash of a big, gaunt pointer dog: a violent grasp, a terrible shake, and the squirrel, mangled and dead, lay upon the ground. A number of persons near ran to the little squirrel and bemoaned his fate in sympathetic terms, while violently abusing the murderous dog. A Capitol policeman was notified, and tenderly carried off the mangled remains. The Capitol police were unprepared to let another squirrel meet the same fate under their watch. When a stray dog was caught chasing a squirrel the next month, an officer hurled a brick at it, maiming the dog. The injured animal was adopted by the Richmond Society for the Prevention of Cruelty to Animals, which was highly critical of the policeman's actions. After all, the association's director argued, the dog was only following its instincts. The policeman, Mr. Eustice, was apologetic — but only to a point, the (Richmond) Times reported: "He is sorry for it, he says, as it was not his purpose to maim the canine, but to kill it." The incident led to calls for and eventually, the creation of the city's first dog-catching office. And it appears that as a result of a subsequent reduction of predators, the squirrels thrived. At the turn of the century the square's squirrel population was estimated at between 150 and 200. The city that a few years earlier couldn't spare few squirrels to send to Canada was happy to offer a pair to Petersburg, which was interested in populating its parks as well. 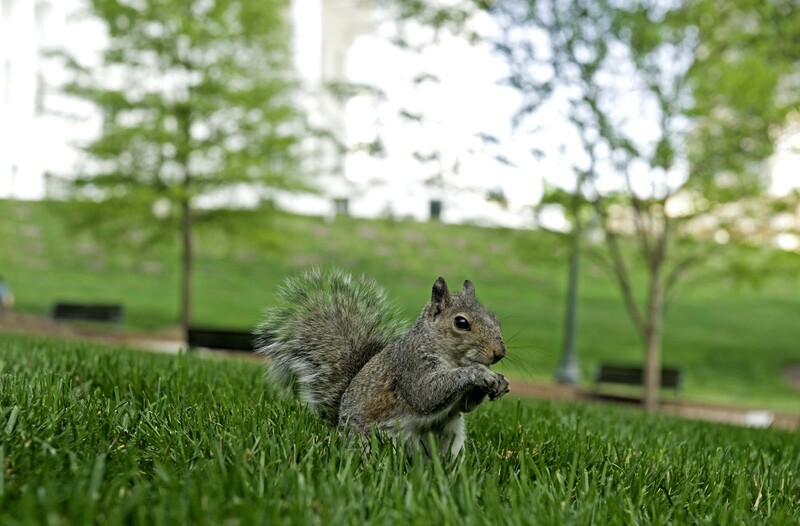 By 1907, the Capitol Square colony had been used to establish a squirrel population in parks across Richmond. "It was a common thing to see them bounding along the streets or running up the trunk of a tree at the approach of an enemy," according to a magazine writer. 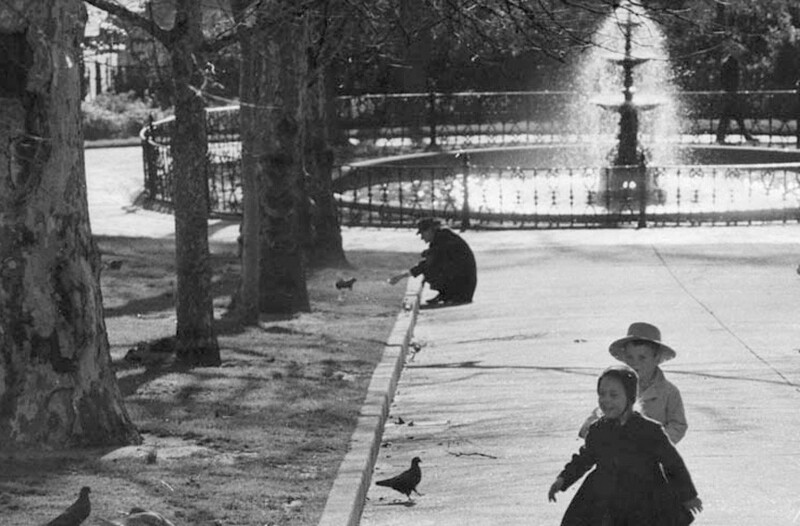 What led Richmonders on their push for squirrels in every park? 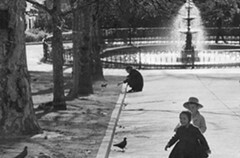 Benson says that urban reformers across the country lobbied to establish public green spaces in otherwise gray cities. And squirrels were seen as a natural addition to increasingly popular landscape parks, he says, an addition the reformers hoped would transport urbanites who encountered them into "a more wholesome and natural world, if only for a moment." A squirrel shells a peanut left by a visitor to Capitol Square. During a recent lunchtime visit to Capitol Square, squirrels are absent from the busy pedestrian thoroughfares where they once were fed and adored. Among the lunching office workers is a man sitting on a bench, state ID tag dangling. Has he seen any squirrels? "No," he says, before looking away in an apparent effort to end the line of inquiry as quickly as possible. The squirrels are still very much a part of the square, but these days they seem to keep to the perimeter, where they play amongst themselves, chasing each other up and down trees, through the bushes and into the ivy while their big, bushy tails flick back and forth. No one pays much attention. As a city, Richmond may have reached peak squirrel apathy, though the city's love affair with them has been waning slowly for years. After the 1901-1902 Constitutional Convention, a clerk returned to his office to find that a squirrel had invaded and shredded some important papers in a search for nesting materials. 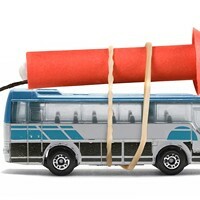 Both the Dispatch and the Times carried articles about the incident. The latter's, under the headline, "Made Their Nests of Constitution," said that if it were legal, the clerk "would go gunning in the hope of getting some revenge, for it will take a great while to do the destroyed work over again." In 1953, the squirrel's stature had further deteriorated among state officials, who according to a column in the Times-Dispatch, attempted to trap and relocate 35 of them to Pocahontas State Park. 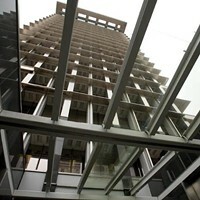 The officials said they no longer could tolerate the damage the squirrels were wreaking on the plantings in the square. Even as humans began to regard the animals as increasingly pesky neighbors, they still seem to merit more consideration than other rodents. 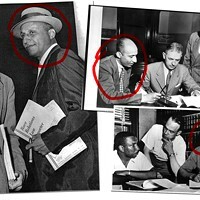 There was some protest when word got out about the trapping in 1953. And there was a similar outcry in 1997 when the Department of General Services, during Gov. George Allen's administration, ordered the removal of a tiny wooden pier that state employees had placed in the fountain to allow squirrels easier access to drinking water. 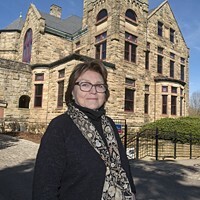 Allen issued a last-minute reprieve, according to the Times-Dispatch, though the structure since has been removed and replaced with a pile of carefully stacked rocks that serves the same purpose. "It's the fuzzy tail," says Dan Hill, the owner of ASAP Wildlife Control in Richmond, who's been trapping squirrels in homeowners' attics for 20 years. "Because really, a squirrel is just a rat that's in a tree. They have slightly cuter faces and fuzzy tails." As recently as 1993 the Department of General Services spent between $200 and $300 annually on raw peanuts for the squirrels during the winter. Roughly adjusted for inflation, it's about the same amount a state auditor's report in 1901 found that governors had been spending annually on walnuts for the animals. 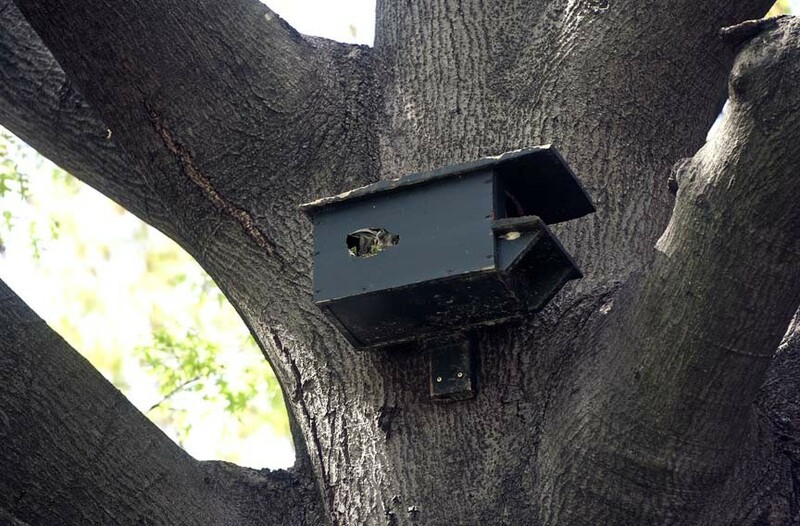 The state still provides about a dozen houses for squirrels in the trees of Capitol Square. The current squirrel shelters, built a decade ago, were based on a design from 1949, according to the Department of General Services. But the state hasn't provided food for the squirrels in "several years," according to Susan Pollard, a spokeswoman for the department. She said it's no longer considered necessary. And while state-subsidized housing remains in the form of a dozen wooden boxes nailed to trees around the grounds, the facilities are about a decade old, and their age shows. The Department of General Services declined to make any groundskeepers, who in years past cared for the squirrels, available for an interview. It wasn't clear whether the agency is aware of the long history of the animals in square. Still, as far back as 1897, at least one resident sought to memorialize what he estimated to be the squirrel's great contribution to the city of Richmond.